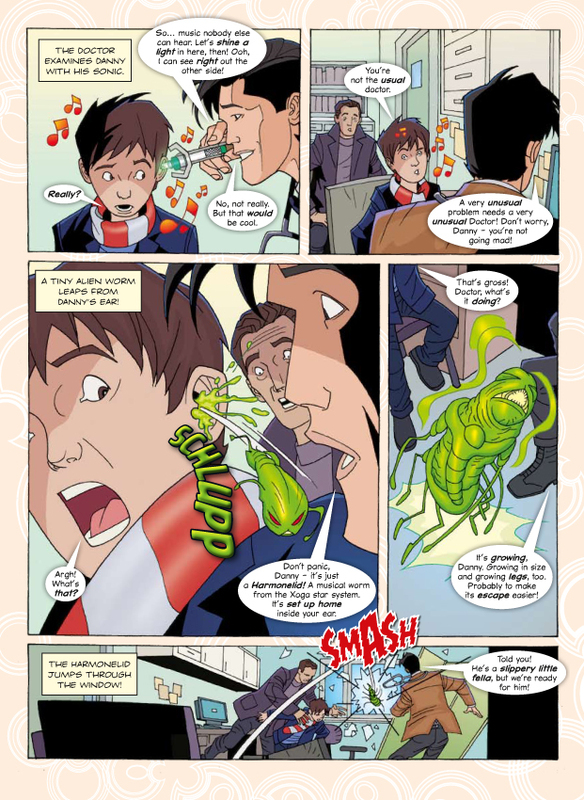 Here's Earworm, a four-page comic story I wrote for Doctor Who Adventures magazine in February 2011. 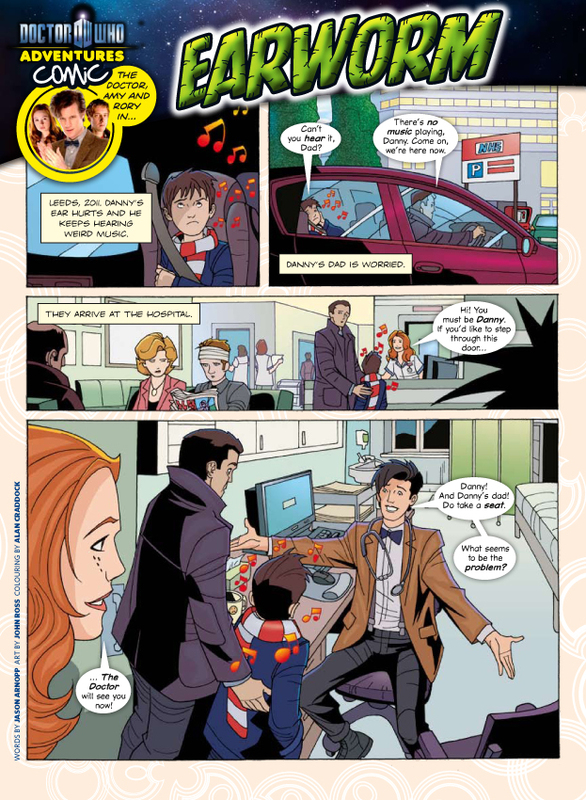 Features the Eleventh Doctor, Amy and Rory. 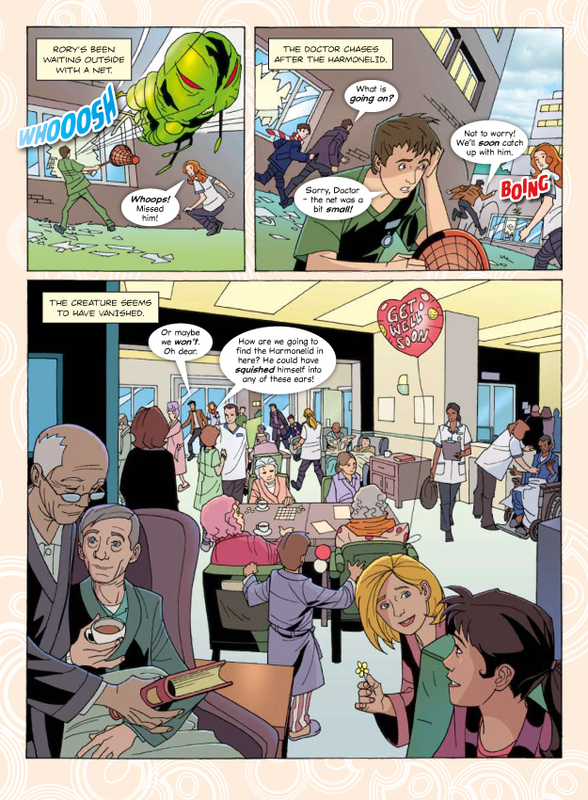 I'm proud of this one and really love John Ross and Alan Craddock's artwork on it. Enjoy! 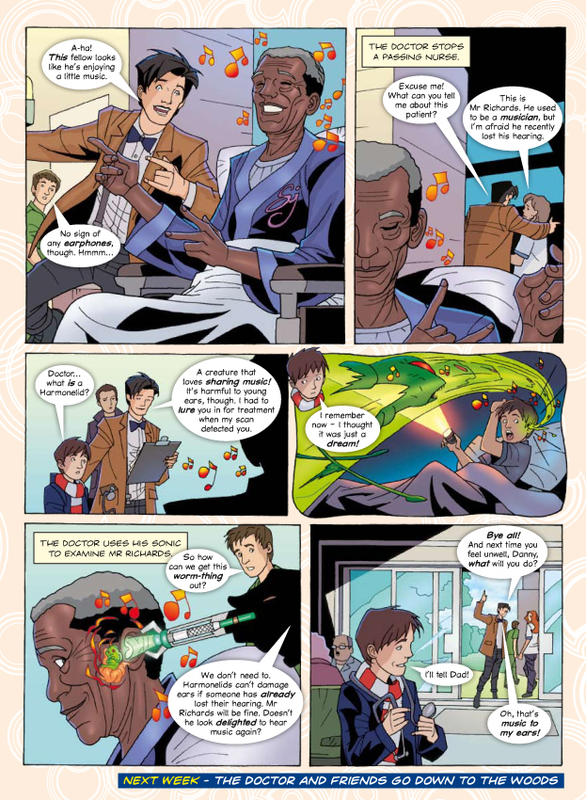 With thanks to Doctor Who Adventures magazine for their kind permission. All content copyrighted - do not reproduce. I like that. See some good alien creatures.